This series is going to discuss a logos, pathos, and ethos that Google follows. Those refer to the classic methods of persuasion proposed by Aristotle. In this post, I will look at their logos, which as some would have you to believe is quite literally, their Logo. By 'some', I mean myself. 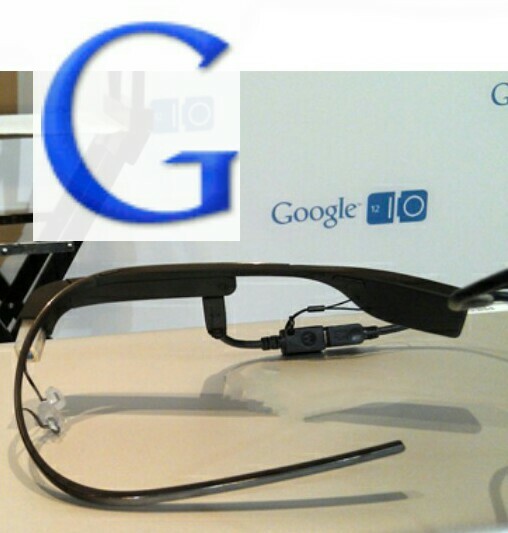 Among the announcements at this year's (2012) Google I/O conference were the official release of project Glass, a Nexus tablet, and media sharing device known as the Nexus Q. Glasses roughly match the profile of a G already. By the time you add a battery or other electronics on to the end of an arm it just screams "THIS PROJECT IS BROUGHT TO YOU BY THE LETTER GGG!". Augmented reality has been around in some form for a couple decades, but it has never developed into anything that could get people involved. The stigma is that any augmented headset would have to be so large and heavy that they would be impractical for everyday use. Google confronts this by making them secondary. The wearer has to look up to actually see any information. There is still eye contact when having a conversation. The technology has come far enough to make it practical. If I keep going down this topic I will end up repeating myself. Augmented reality is covered in more depth here. Since the end of the conference 2 weeks ago, news from both Apple and Olympus has come out indicating they have similar plans. 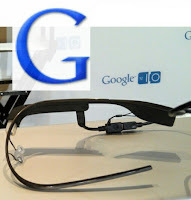 Project Glass was an initiative that allowed Google, for all intensive purposes, to be first in the field. Another point of similarity is that both companies are re-couping profits from other means besides straight from selling the device; which sell for and cost around $200 to manufacture in the first place. If you purchase the Fire, expect Amazon ads to be in your face. The Nexus 7 will point you to Google as your default search and highly encourage you to have the full Google+ experience. This is Google's direct competition against Amazon. O and e are both covered by the Nexus Q. Don't let the name fool you. It is such a strange design. Why else would they make such an odd looking device that is, compared to their preceding announcement and other similar product, expensive? This is their direct Apple competitor. Comparing the Nexus 7 to the Kindle Fire is like looking at twins separated at birth. But when you look more closely at Apple's history and the Q, similarities do stand out. Steve Jobs was not practical when it came to designs. They had to be visually stunning; inside and out. He was known for forcing perfectly flat surfaces to bring products to market with basic geometries which are more pleasing to the eye. They are more pleasing to look at, but it adds several design issues. Large flat surfaces are prone to oil-canning. This is when a large, nearly flat surface pops from one nearly stable position to another causing an audible noise. Also, curved surfaces help hide defects. On a flat surface if glare from light is not perfectly straight, there is an obvious warp. In the Q's design everything had to be in a basic shape, a primitive, a sphere. If you are not into design, just consider decorating a round room. There are no flat surfaces to hang pictures, no lines to guide the layout. Jobs highlighted the flat surfaces in his speeches. Here, the curves are highlighted. What makes that so special? Why was it necessary? No one will sit anything on a round object. It has to be a centerpiece; the object in the room everyone talks about at one point or another. I would not be surprised if it required a line of sight to use it to ensure no one puts it in a drawer. Apple is known for doing everything in-house; software and hardware designs. No one else is allowed to interfere. In some respects this has the benefit that it forces a consistent user experience. On the other hand it prevents outsiders from creating potentially incredible new functionality into the product. Google has always gone the opposite route. Everything is open-source, everyone can contribute, but people complain about the fragmentation and people tend to leave the Android community because they do not want to learn different ways of operating different apps or features. Google made a surprising decision by only showing media streamed from Google Play. They are forcing a specific user interface. They are fighting the fragmentation concerns suffered from their other products. There are several competitors in this market, but none has had a strong lead. With Q, Google is using Apple's strategy of being the high-end brand. Also, like Apple, Google will have to pitch this product until the public is convinced. Once they do, if they do, the culture shift is complete. This is Google's direct competition again Apple. However, so far with the price set at $299 people expect a different Q. This sets the final piece of the puzzle. How did Google draw millions of people into using Google+. Everyone who had a Gmail account was one day automatically signed into Google+, whether they knew it or not. So, how can Google guarantee the maximum number of people get exposure to their products. By using the most innocuous and pervasive of their projects; the Google Doodle. 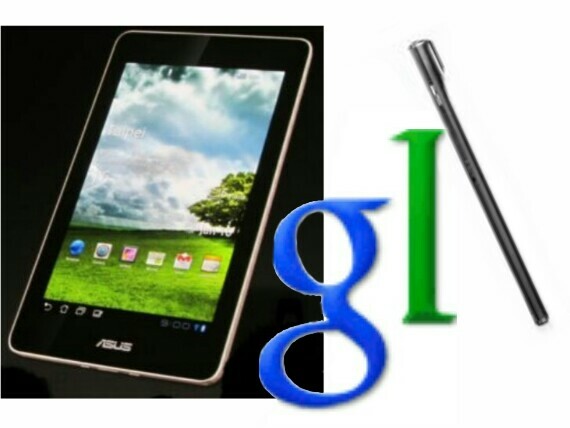 The doodle refers to the Google logo seen every time you make a search. Remember the different versions; the classic Pop-Eye, or popular Pac-Man (click the link to play). 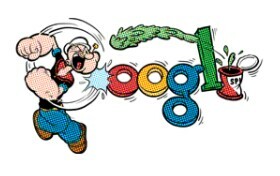 If you used iGoogle, perhaps you noticed that you would find out after others about the latest doodle. Users of iGoogle were not exposed to the new daily artwork unless we signed out of our accounts. This explains the timing of why iGoogle had to be dissolved after this year's Google I/O. The actual date is set to November 2013; right on schedule for consumers to get glasses by the holidays. Just like iGoogle gradually disappeared into Google+, Google Showcase could be rebranded from a developer forum into a theater of consumer goods. Click on the Google Doodle and get an expanded sub-section of the Play Store. Does this signal the amorality of the corporate agenda? This topic will be discussed later in this trilogy.